AnshuBlog: The Stack Fallacy : Rumors of Facebook's Death are Highly Premature. Really? Rumors of Facebook's Death are Highly Premature. Really? Don Dodge opines 50M Facebook users don't care about OpenSocial APIs and tries to convince us that Facebook is not dead. Granted that Microsoft just spent $250M on Facebook so it must hurt to see all the coverage going to Google rather than letting Microsoft bask in the afterglow of its miniscule stake in Facebook. But, it looks like he is slaying an imagined Dragon. There are 50 Million Facebook users who don't know what OpenSocial APIs are...and don't care. There are about 5,000 tech bloggers and developers who think it is a revolution that will "Checkmate" Facebook and leave them with no moves. TechMeme has over 100 stories saying that OpenSocial is awesome and Facebook is dead. MySpace joins Google on OpenSocial initiative. OK, surely that settles it, Facebook is dead. Nope, not in my opinion. I am with him so far, the battle is far from over - its not even fully begun. But then Don articulates his rationale for why OpenSocial is irrelevant and why Facebook is not dead. Facebook is about the user community. Facebook has always been focused on the user community and providing a great user experience. Does this user community know or care that the apps are built using FBML vs. XML? Nope. There are already at least 20 other social networks out there to choose from. Are they fleeing Facebook for these alternatives? Nope. It is all about the community, and where your friends are. Are there some users who would like to transfer their Facebook friends list to another social network? Probably some. Maybe even 5,000. Well, its been less than a week so its premature to count the numbers. And the whole point of having a well-defined standard API is that users don't have to care - the social networks can interoperate without having to understand APIs, import/export rules, etc. The sites can work with each other's APIs to make the user experience more seamless as she switches between sites. I repeat - integration is at its best when its invisible to the end users. I thought we-need-to-integrate-everything-under-the-sun-into-Windows Microsoft would have grokked this. Are Facebook users going to cancel their account? Nope, I doubt it. OK, so every tech blogger and social network developer is going to cancel their Facebook account and go to what? Orkut? Even if they did that would amount to about 5,000 users which is less than one/one hundredth of one percent of Facebook users. Or put another way 99.9999% of Facebook users will be happy to stay right where they are. And, Facebook probably adds 5,000 new users a day anyway. So the impact (revolution) will be over in one day. By next week this is old news. I have yet to see anyone suggest that users will be en-masse canceling their Google accounts. Nobody is burning their Windows machines just because they bought an iPod or a Mac. The question is: Will OpenSocial make it more likely for a user to expend the effort in maintaining a non-Facebook account knowing that the information she enters can now (or will in future) be leveraged across a broad spectrum of sites. Did Facebook users approve this? When I agreed to be a friend of Robert Scoble, Mike Arrington, Marc Andresseen, and others on Facebook, that was just Facebook. Did I agree to have my "friend relationship" exposed on Orkut or 20 other social networks? No. Don't get me wrong, I am proud to be friends with Robert, Mike, and Marc. But, I think most users would agree that they didn't expect that their "relationship" would be exposed on other social networks. Or, that their name, picture, or any part of their personal profile would be exported to another social network. There may be a significant privacy issue here, or some questions about the use of PII (Personally Identifiable Information). First off, this question is irrelevant Facebook is not part of OpenSocial. But let's apply this question to non-FB sites like Orkut. The OpenSocial API does not force any site or user to share her information - it creates a standard if they choose to do so. Significant Privacy issues is what Telco's bring up when they don't want to allow third-party apps on their networks. FUD at its very best. And to top it all off, Don conveniently forgets that Facebook itself has "Import" addressbook functionality for sucking up my Gmail, Yahoo! Mail and Hotmail addresses. What do they say about good for the Goose? Will developers stop building Facebook apps? No, of course not. Facebook provides a pretty good API set and a pretty simple way to develop applications for Facebook. Does anyone really think that developers will abandon Facebook and instead only write to the OpenSocial API set? Seriously, what are these tech bloggers thinking? Developers are very skilled at building web apps that work on both Internet Explorer and FireFox, or Windows and Linux. It really isn't a big deal to use Facebook's FBML which is just XML with extensions. "Does anyone really think that developers will abandon Facebook and instead only write to the OpenSocial API set? Seriously, what are these tech bloggers thinking?" I am not sure who suggested this. Seriously Don, what are you thinking? Did you just read the paranoia book by Andy Grove? Breathe, its going to be okay. No one is leaving anyone or killing any one. We are just letting sites exchange information using a standard API. May be, Mister Softee can learn. Could save you billions. "The alliance is not likely to erode the popularity of Facebook or immediately alter the dynamics of the social networking market. But it could help revitalize the sites of some of its members, which have seen their social networks eclipsed by the popularity of MySpace and Facebook. Orkut, Google’s social network, for instance, is popular in Brazil and a few other countries, but not in the United States." Not one single app has been written and not one single user has left Facebook, and already the tech cognoscenti is saying Facebook is dead. Get a grip guys. Who? Where? Get a grip. Seriously. What's your bottom line? You think facebook's toast? Or do you think OpenSocial is the future? Unfortunately no clear winner. But that is also the good news - Facebook and everyone else (yes, they are all also rans at this time) can survive. In that sense, OpenSocial is a winner i.e., without OpenSocial these other networks stood almost no chance. Hottt!!!!!tip. my sources tell me that Yahoo is going to announce on Wednesday Nov.14 that they are joining Googles OpenSocial. thought you'll like to know. It would certainly be interesting but not a huge surprise. It would make sense for Yahoo! - they have some tremendous social properties like FlickR. 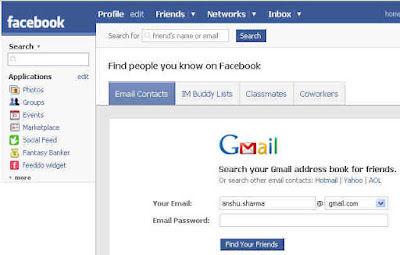 There are many social networking services operated like Orkut.com, MySpace, Facebook, etc. Orkut.com is being operated by Google. MySpace is an online community that lets you meet your friends' friends. These are popular sites especially among youths. Here people come into contact with each other and build up relations whether personal or business. There is a provision of creating a private community on MySpace and share photos, journals and interests with your growing network of mutual friends. We can judge the popularity of these sites by seeing their ranking in Alexa. Orkut has been steadily rising on the Alexa charts but MySpace is still significantly bigger than Orkut.com.